Choose the Calstar Motors Service & Auto Repair center – serving Glendale, Burbank, and the surrounding area for over 25 years! Exceptional. Welcome to the Calstar Motors website, where you can browse our entire inventory of new Mercedes-Benz vehicles and used cars at our Glendale, California region dealership. Come visit us to test drive a vehicle, speak to one of our experts, or discuss financing options. You can also call us at (818) 246-1800. Calstar Motors provides quality luxury vehicles from Mercedes-Benz to Glendale, Los Angeles, North Hollywood, Burbank and surrounding cities. Our large selection ensures that we have a luxury or exotic vehicle for everyone, no matter what it is you’re looking for. At Calstar Motors , choose from all of the most popular 2017 – 2018 Mercedes-Benz models in Glendale. When you visit our Glendale Mercedes-Benz dealership near Los Angeles you will find the new Mercedes-Benz C-Class, B-Class, E-Class, M-Class, S-Class and more. The Calstar Motors sales team is ready to answer any of the questions you have about a particular model. For every day low prices and the best selection of Mercedes-Benz cars serving Glendale, North Hollywood, Burbank & Los Angeles, visit our dealership today. We can offer our best deals on our new or pre-owned Mercedes-Benz vehicles to you because we’re a leading Mercedes-Benz dealer in Glendale, California. Calstar Motors’ late model used luxury cars in Glendale are carefully inspected by our technicians to guarantee quality for all our customers. We are continually receiving vehicles for our used car inventory, so check back often. Visit our inventory page to browse through the Mercedes-Benz pre-owned cars we currently have in stock including used convertibles and SUVs. If you see something you like, give us a call at (818) 246-1800 or stop in and see us at 700 S Brand Blvd in Glendale. For a low-interest rate car loan in Glendale, visit the experts at Calstar Motors. We’ve helped people get the car loans that fit their budget so that they could drive away with a new exotic or luxury car in Glendale quickly. Come down to 700 S Brand Blvd and speak to a financial professional. Affordable leases or auto loans in Glendale are within reach at Calstar Motors. Calstar Motors in Glendale also provides the Los Angeles area with quality Mercedes-Benz auto repair services and genuine Mercedes-Benz auto parts. We staff certified and trained technicians in Glendale to ensure car repairs and maintenance are done correctly and to factory specifications. Our Glendale car parts team is very knowledgeable when it comes to Mercedes-Benz vehicles, and they will get you the right auto part to keep your vehicle running like new. Read about us, visit our dealership at 700 S Brand Blvd, Glendale CA 91204, or give us a call at (818) 246-1800. Our team is available to answer your automotive questions. Thanks for visiting our site, and we hope to see you at our Glendale car dealership soon! We are just a short drive from most surrounding areas, including Los Angeles. 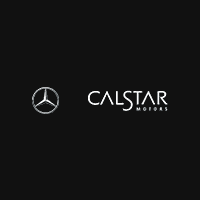 Calstar Motors is an Authorized Return Center for your Mercedes-Benz vehicle. Is your lease due to mature soon? We suggest that an inspection of your vehicle is conducted prior to your turn in date. We have highly qualified and dedicated professionals who will discuss all your lease end options. Turn in your lease vehicle. We accept and encourage your lease turn in here at our dealership no matter where you leased your vehicle. Lease or purchase a new or pre-owned vehicle from us: Purchase your leased vehicle at lease end through us and take advantage of special financing offered through Mercedes-Benz Financial. Or extend your lease for up to 6 months.